Fall is just around the corner, and that means it’s time for some changes in your tree care and maintenance routines. Here in Gainesville, we’re fortunate to enjoy relatively mild weather, but you still need to know how to care for your trees with the changing seasons. 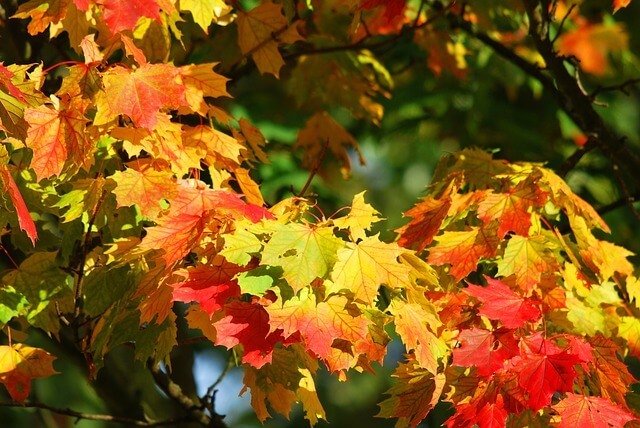 Read on for some fall tree care tips, and contact Mr. Tree and Lawn Service today for an estimate on our tree maintenance services. After their lush, green summer growth, trees can start to look a bit shaggy. Fall is a great time to call us for affordable tree trimming. If you’ve been thinking of adding trees to your landscaping, fall is a great time to do so! Lower temperatures mean less stress on the tree and more energy for establishing a root system. Use mulch to insulate young or fragile trees from falling temperatures. We offer mulch installation to ensure that the mulch is applied properly and won’t cause fungus growth. At the beginning of autumn, stop watering your trees. Watering causes new growth, and you do not want your tree sprouting fragile new growth before winter. Wait until late autumn when the trees have shed their leaves to give them a good, thorough watering, which will sustain them through the winter. Speaking of new growth, do not fertilize in the fall! Wait until spring, when the new growth will be able to thrive instead of making the tree susceptible to winter weather damage. From appearance to safety to environmental concerns, there are so many reasons to take good care of your trees! Let the tree experts help. Just give us a call for an estimate on our Gainesville tree services.